One of the things that makes Kelowna so attractive is the Okanagan Lake. A beautiful and calm oasis of freshwater, the Okanagan is a liberating place to be. But what about the beaches of this incredible lake? Which ones are the best for either accessing the lake or just soaking up some of those sweet rays for a tan? 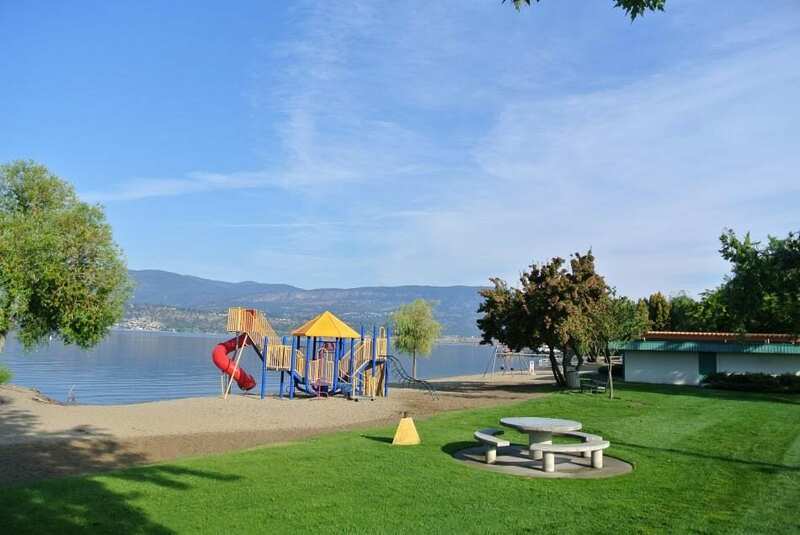 We’ve got you covered with our Top Three Kelowna beaches within 5km of Green Square. Rotary Beach on 3736 Lakeshore Road is easily the highest rated beach with a family-orientation. At the centre of Rotary is a playground where kids can go down slides and explore. Also, Rotary has kayak rentals as well. 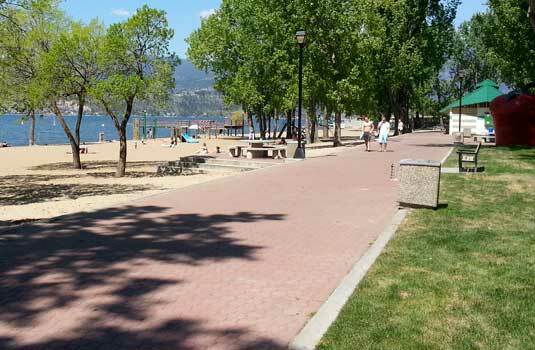 As far as Kelowna beaches goes, Rotary is among the best. Additionally, it’s less than two blocks away from Green Square, at a distance well within reason for walking after a long day at the office. Gyro Beach on 3400 Lakeshore Road is a well-served, family-oriented beach with a nice playground for children on the premises. The playground comes with a nifty zipline to splash into the water with real aplomb. Gyro also has a nice mixture of shade and sun depending on one’s preferences, as provided by the large trees scattered along the beach. Even beyond that, Gyro has brand new volleyball courts to set and bump on, as well as a new parking lot. Much like Rotary, it has kayak rentals on-site, if that’s something you might consider. Okay, well, we kind of cheated on this one; we told you all the beaches were within 5 kilometres and this one’s within 5.4. But we promise it’s well worth the extra 400 metres! 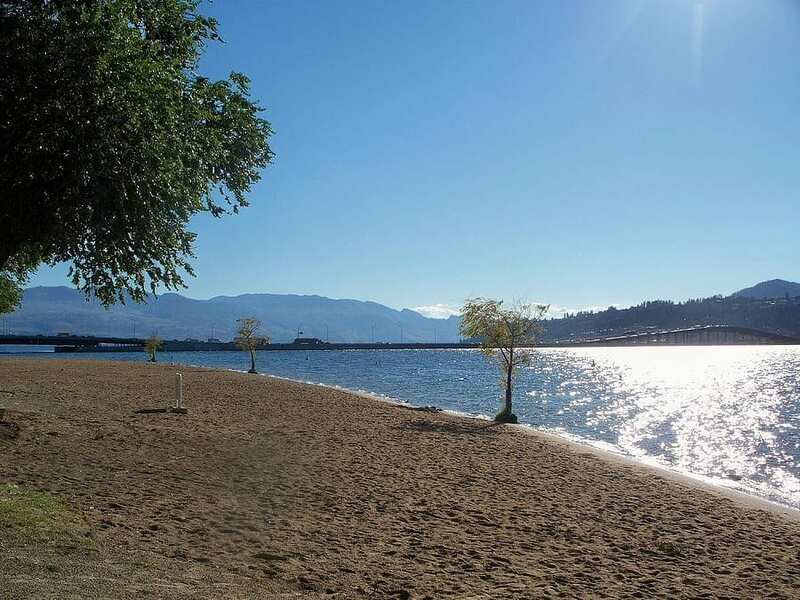 Possibly the most popular beach in Kelowna and part of the larger Kelowna City Park area, Hot Sands certainly lives up to the name. The sand is hot and whether it’s volleyball, tanning, or swimming, Hot Sands on 1328 Ellis Street has you covered. It’s also in the heart of Kelowna’s downtown area, so if you planned on going shopping, eating out, or exploring the city either before or after the beach, Hot Sands is the spot. To learn more about Green Square, aka the development close to all these cool beaches, click here.